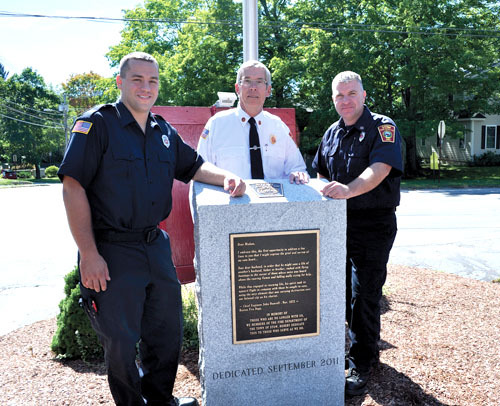 Stow Fire Chief Mike McLaughlin (center), Firefighter/EMT Judson Swinimer (l) and Firefighter/EMT Mark Guerin (r) surround the Stow September 11, 2001 Memorial, erected last year on the 10th anniversary of the terrorist attacks on America. Rememberance ceremonies were all over the state and country, including at the Massachusetts Firefighting Academy on State Road in Stow. Janice Gobert and daughter Alexa Kalechofsky) recently traveled London, Paris, Amsterdam, and Bochum (Germany). 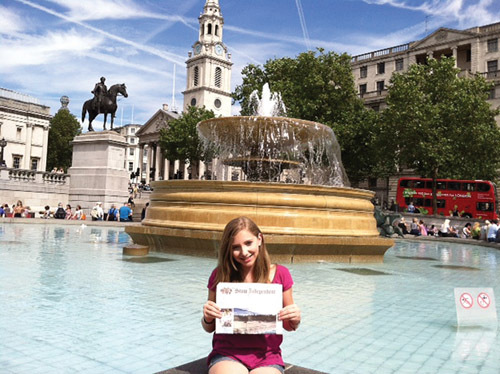 Pictured is Alexa in Trafalgar Square, London. 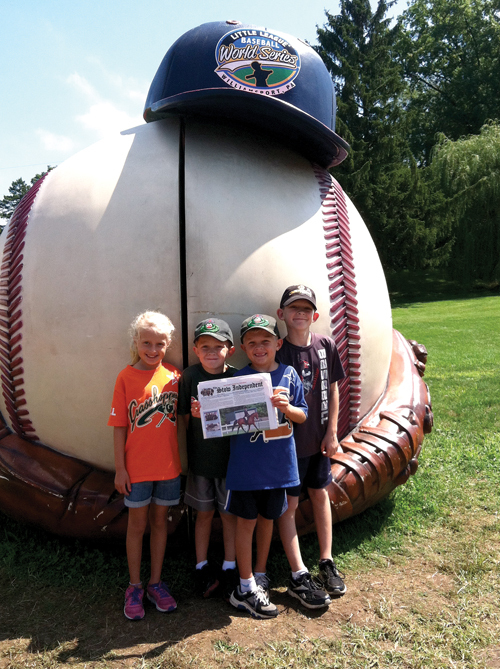 Little League World Series in Williamsport, PA in August. Alyssa and Matthew Dalto were joined by their cousins Jack and Ben Dalto from NY to enjoy the games!